Dustin tweets: "New goodies from my friends @WalrusAudio ! Yeah!!!" 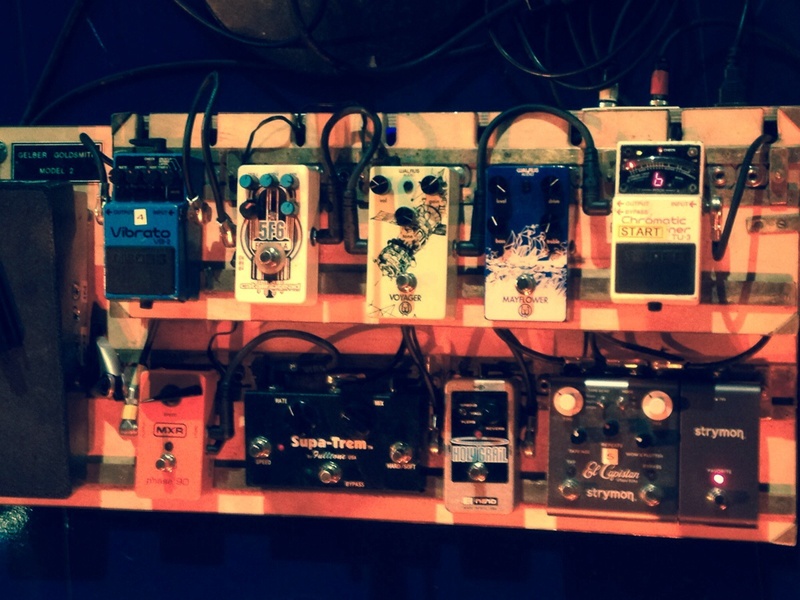 The Photo shows the Walrus Audio Mayflower Overdrive Pedal in his pedal chain with an Iron Horse distortion pedal. A Walrus Audio Mayflower can be seen in this video from this point onwards. In this photo a Walrus Audio Mayflower can be seen on Taylor's board. In this interview he mentions that he used Walrus Audio Mayflower on David Bowie's Black Star album. 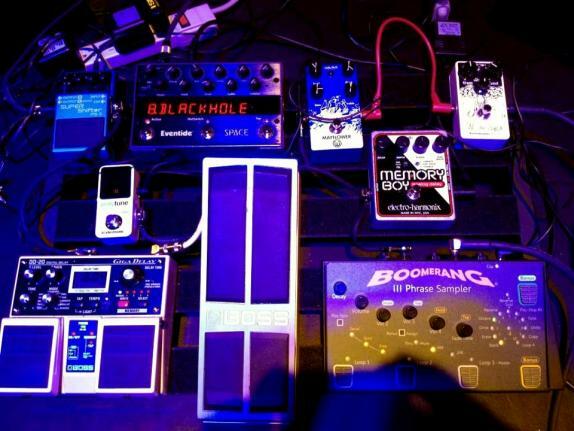 In this Noveller's pedalboard photo, you can see all the pedals used in live. Bought this off of Amazon and it has been great. Really nice amount of transparency yet it changes and dirties up your tone perfectly. I dig it. Worth the money I payed for it. Also (not that it matters too much) it looks dope. more of a crunch or a grind? @jimmarci1 As I said it does have a very transparent sound, but I would say crunch once you kick the drive up pretty high. The Mayflower Overdrive by Walrus Audio is a low to medium gain overdrive pedal with great clarity that sparkles with single coil pickups. The individual Bass/Treble controls allow you to get creative, taking you from spanky country licks to thick chords for alternative rock while maintaining solid chord definition. The Mayflower works very well in combination with fuzz pedals, including both of Walrus's offerings, the Jupiter and the Janus. Like all Walrus Audio pedals, the Mayflower is hand made in Norman, Oklahoma with superb build quality and attention to detail. I use this to drive amps on stage, it is a pretty darn good transparent orverdrive that doesn't color my tone as I want it. It's a bit pricey for a drive pedal but hell it is so versatile for what I play.